When I travel, I rarely gallivant–you know, wonder aimlessly, jazz around with no particular purpose in mind. Weeks before a trip, I look up specific sites, research what languages are spoken, what foods to expect. I try to familiarize myself with a location’s particular history and culture. By doing this, I can travel more optimally. I can have a more fulfilling trip. Yet many of the elements in a city, in a country, are often overlooked or simply cannot be researched beforehand–things like air and road quality, perception of foreigners, smells, small and subtle cultural innuendos. Do I shake hands? Do I nod my head up and down to signify “yes?” Do people…smile here? It was with these thoughts that I entered Algeria. Ten minutes into my first taxi ride, my driver, teetering through the wide-laned rush hour traffic of Algiers, was flagged down by a policeman. C’est le dérangement! Un barrage police. An inconvenience, annoyance, or disorder–a police roadblock. Oh to be speaking French again! The driver and policeman exchanged a delicate combination of French and Arabic. I picked up the word “Michael Schumacher” and looked over at the policeman. He was laughing hysterically. I guess the roadblock wasn’t as serious as I had originally made it out to be. The driver displayed his paperwork, smiled, waved, and drove off like nothing had happened. C’est le dérangement, he repeated. Known for the flickering white of its seaside buildings, Algiers is often called Alger la Blanche, or Algiers the White. The city, a series of potted one-way roads that meander up and down hills, past mosques and minarets and small shops like Alimentation Generale and Fruits et Légumes, is the second largest city in the Maghreb, an Arabic term for the five countries–Morocco, Algeria, Tunisia, Libya, and Mauritania–that compose North Africa. 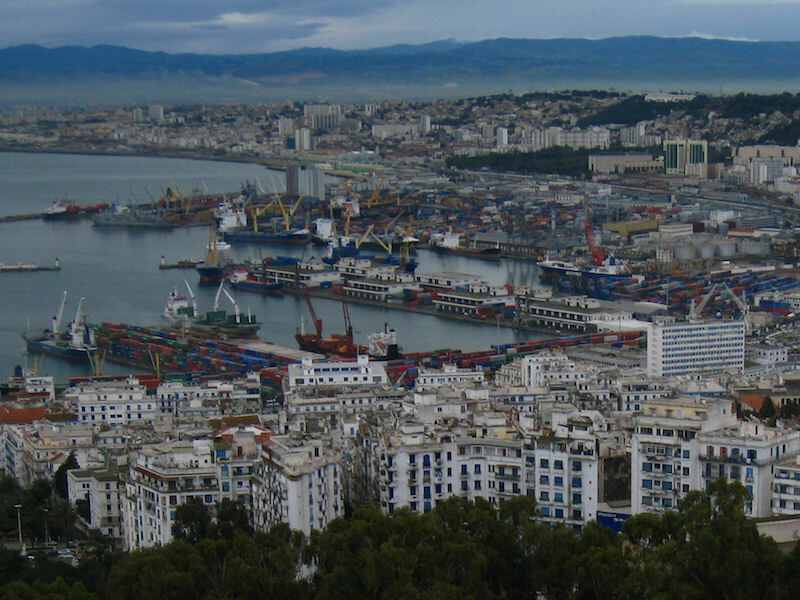 The port of Algiers, situated on the west side of a Mediterranean Sea bay, is the most important port in North Africa. Perhaps this explains why it’s also the most expensive city in North Africa, and interestingly enough, the 50th most expensive worldwide. Unfortunately, a combination of work, weather and serious jet lag prevented me from properly exploring the city. 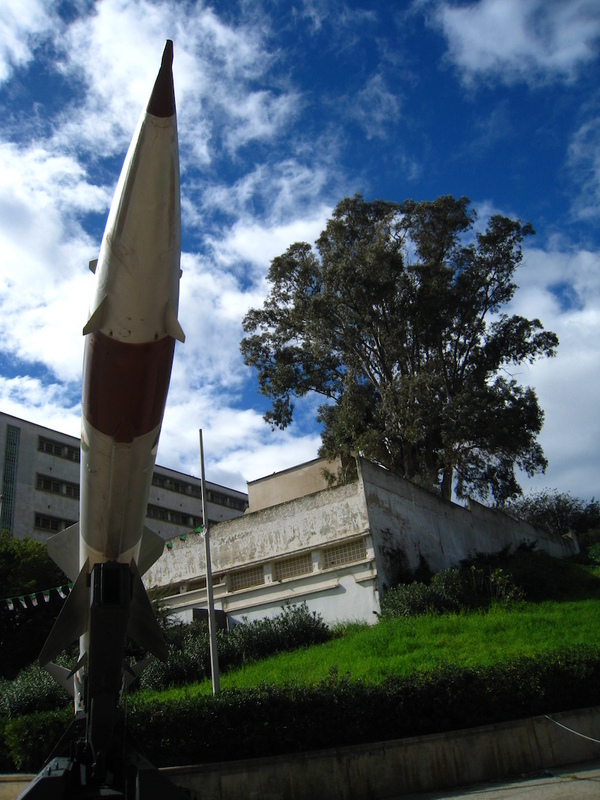 In my one free afternoon, eager to escape the hustle and bustle of central Algiers, I spent an hour walking through the Jardin d’Essai, a nearly 200-acre park/garden with exotic plants from all over the world. I walked through bamboo groves, past towering fountains, looking at plants from Australia, Mexico, Brazil and Southeast Asia. It was pleasant and serene, just what I needed after a hectic schedule of road-darting and price-scribbling. I let my mind wander. 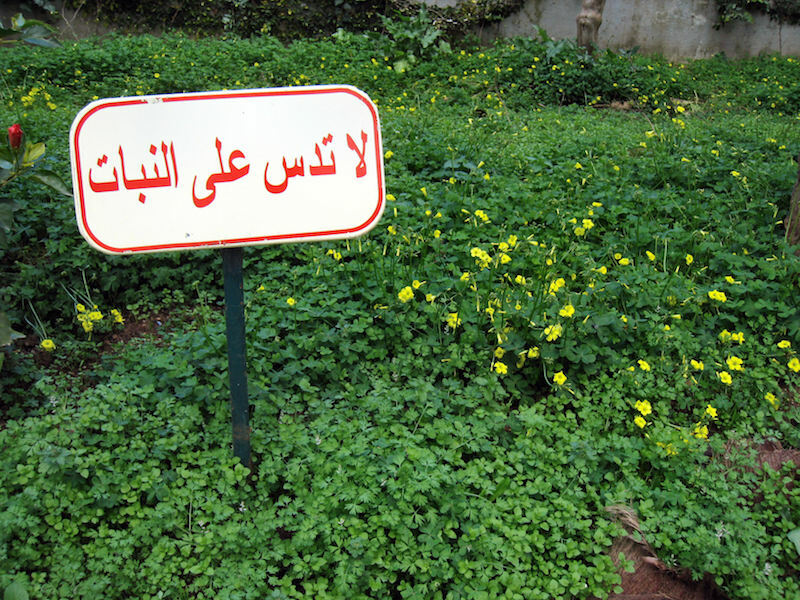 Signs in Arabic, like the one below, took on wild, dangerous meanings. Man-Eating Dandelions! Stay on Path! Folks, this is what happens after traveling alone for so long. You start to…lose it a bit. I think there’s a reason that Anthony Bourdain hasn’t filmed his travel show, No Reservations, in Algeria. Besides several roasted chicken stands like Le Roi de Poulet, Algiers’ gastronomic culture leaves much to be desired. Street food, at least in my short, week-long experience–and that’s what travelers do, we draw conclusions on limited observations–consists of roasted chicken, burgers, kebabs and fries. Typical fast food fare–here, the McDonald’s is Quality Burger. Though I must say, after a bit of research, I found a couple of restaurants worth writing home about. El Djenina was fantastic–the best cous-cous I’ve ever had. And they even served Tango, Algeria’s only local beer! Another restaurant, Le Taj Mahal, was completely empty when I walked in. I wish it werent, because the Indian food was sumptious and spicy and all kinds of good. If you ever find yourself in Algiers, craving Indian food (am I the only one? ), Le Taj Mahal is your place. Algiers is an interesting place–certainly not a hub for tourists like Casablanca or Tunis, but I predict that they’re on their way. Give them ten years. Lots of exciting new development projects in the works, and plenty of culture and good-natured people. I hope to return! I’ll leave you with a short clip of Algerian television, brought to you from room 630 at the hotel El-Aurassi. I’m not sure if you were referring to the sign in the picture, but that one says “Do not step on the plants”. I hope also that you noticed that the Camel show is Russian, the Bactrian Camel live in Asia, the North African Camels (Dromedary) have a single hump. Otherwise, nice article, I hope you’ll have a better luck with food on your next visit. .-= hyphy records´s last blog ..Few powder days =-. Camel tricks? Now that’s real entertainment. It seems like a pretty interesting place, and I would have never thought it was in the 50 most expensive cities. .-= Nate´s last blog ..holy crap it’s been a while =-. I’ve seen some wacky television over the years but that is as wacky as it gets! And don’t worry, I’d be in the mood for a little Le Taj Mahal if I were over there as well. .-= Earl´s last blog ..Unexpected Encounters With Intriguing People =-. @Zak: Didn’t know that I was watching a Russian show–thanks for the info! I hope you didn’t take my post the wrong way, as I had a great time in Algeria! Any suggestions for street food next time I’m in town? .-= Alan´s last blog ..PMBA Assignment 6: Deep Survival =-. Thanks for sharing, Alan! One small correction, it is Alger la Blanche, not ‘Blance’ but I’m guessing it was just a typo where you smallowed the ‘h’. @Leila: Thanks for pointing out the spelling error! 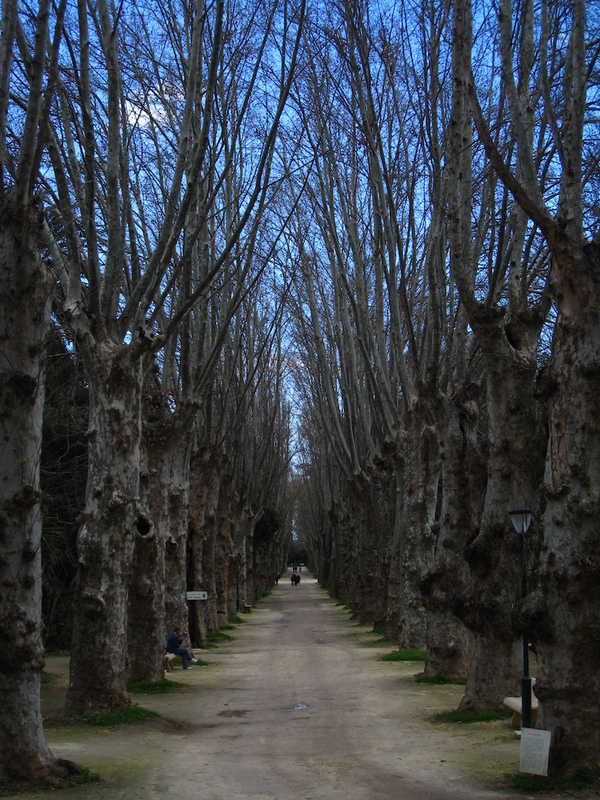 I like the picture of trees because it looked very nice and serene place. I like reading about the food because kebab and roasted chicken sound delicious. Camel tricks is also interesting to watch. Like Karen, I love the image of the trees the best. Probably, it’s because I love nature and seeing it made me feel good. Since camels are a rare sight, seeing these animals would probably excite me, too. Watching them do tricks can make my day. Good post overflowing of useful ideas! I like how you have written it properly but purposely. I have learned a lot from you. Good job and more writings to come! Really great. This is the fitting blog for anybody who wants to search out about this topic. Simply desire to say your article is as astounding. . You have explained the matter and most importantly, you really have mastered the art of article publishing. Thank you.